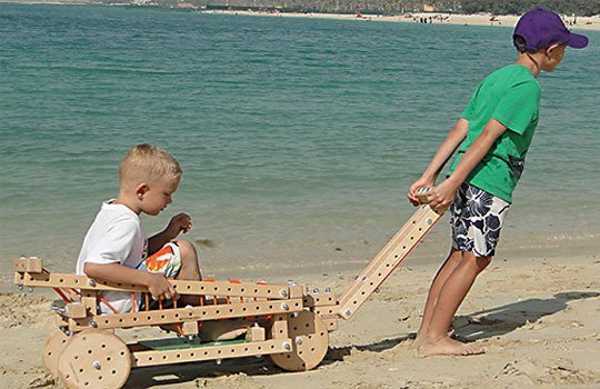 Forget fiddly, small wooden models – this brilliant toy is the real deal. 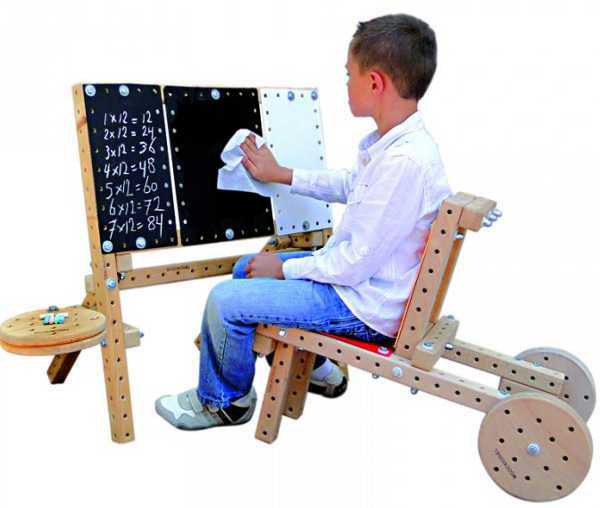 Kids can construct life-sized toys like bikes, desks, go karts, wagons – the list is long and awesome. Remember as a child what an achievement it was to create something with your hands. A piece of art or, if you had a handy adult around, treehouses, forts and go-karts. 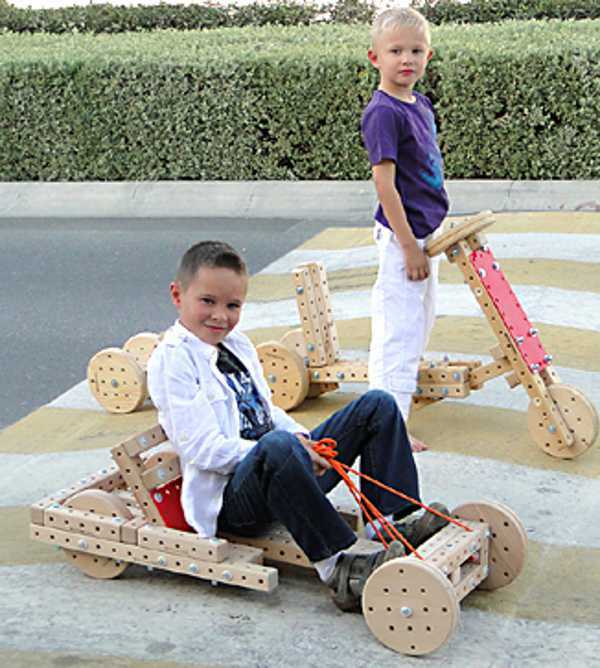 The Woodmobiel concept is a distinct throwback to a simpler childhood, when time was spent constructing with your hands. 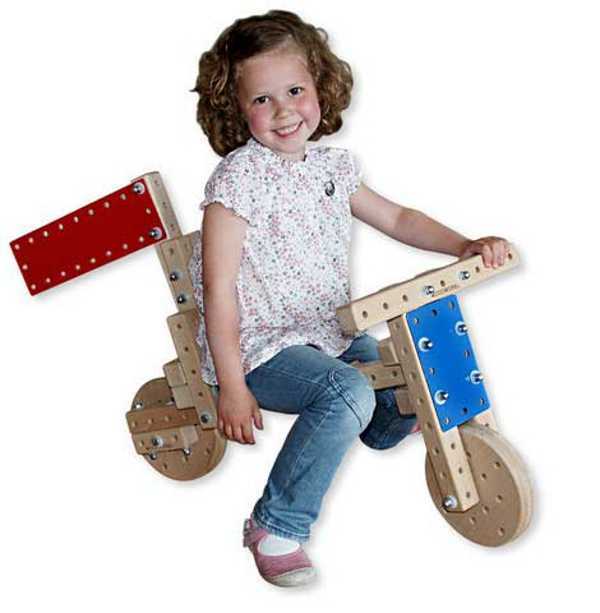 Woodmobiel was created by Ben Fritz, a Dutch graphic designer, for his own grandchildren. 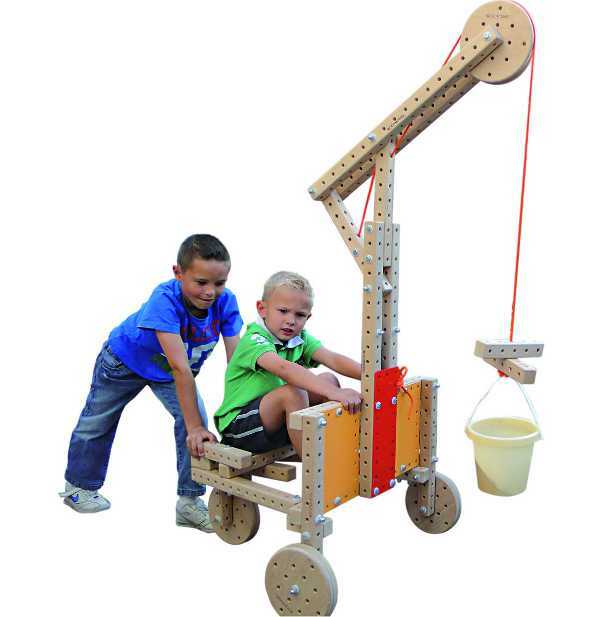 It’s essentially kits that can be used to construct just about anything you or your child can imagine. While you can create anything you like, the Standard Kit comes with instructions on how to create twenty-four models, the Starter Kit with directions for nine models. The do-it-yourself kits come with tools to help kids construct their toys. The Starter Kit comes with twenty-five pieces, plus fastening materials. The Starter Kit is available locally through Fishpond and costs $382, with free shipping Australia-wide. The Standard Kit comes with forty-three pieces, plus fasteners including pine wheels and plastic boards, steel cap nuts and bolts, and combination wrenches. This kit costs $699 from Fishpond with free shipping in Australia, and is suitable for children from five to nine years old.